When you have your next meal or beverage, savor each bite or sip. Be conscious of its texture, in its container, and in your mouth. 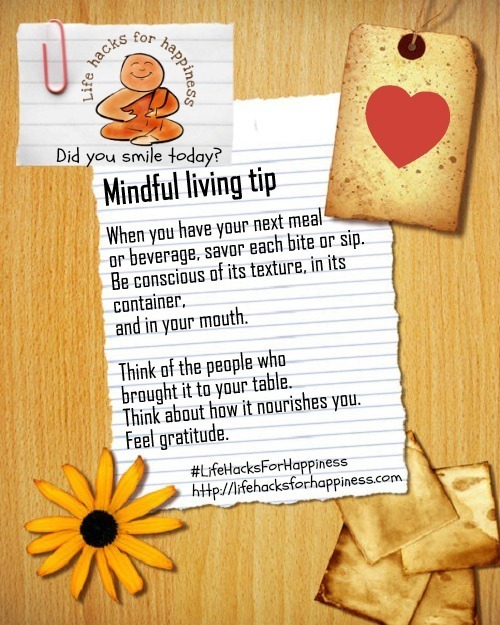 Think about how it nourishes you. Think of the people who brought it to your table. Feel gratitude.